November 14th is World Diabetes Day. The International Diabetes Federation (the sponsoring organization) wants to raise awareness of diabetes and how to prevent Type 2 and gestational diabetes. Type 1, also known as Juvenile Diabetes, is not preventable. Today, three-hundred and sixty-six million people around the world have diabetes and by 2030 it’s estimated that the world will see 552 million cases. The scarier statistic is that more people than not go undiagnosed. 8.3% of Americans have diabetes and they estimate that there are nearly 7 million undiagnosed type 2 Americans. Being stuck on a regular basis is no one’s idea of fun! There are three main types of diabetes: type 1, type 2, and gestational diabetes. While all have distinctive characteristics, they all involve insulin and blood sugar. Insulin is a hormone that is required to properly process carbs (including sugar) that is found in food. Type 1 diabetes is the least common type of diabetes, affecting 5-10% of all diabetes patients. Type 1 diabetes is an autoimmune disease that occurs in childhood. Type 1 causes the body’s immune system to mistakenly attack the insulin-producing cells located in the pancreas and destroys them. 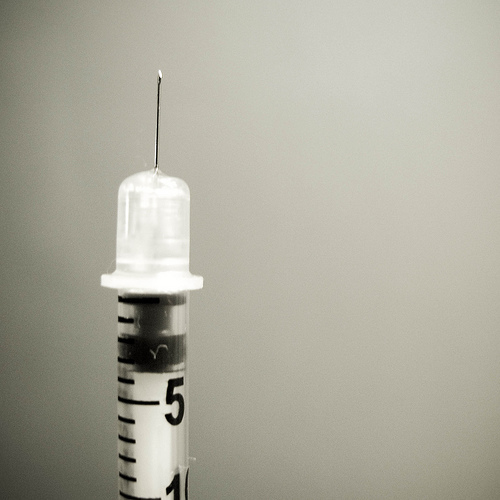 People with type 1 must replace the insulin that is no longer produced in the pancreas. The only way to replace insulin is through injections or a pump that is constantly hooked up to the patient. Type 1 patients need to consistently checking their blood sugar levels throughout the day to make sure they haven’t injected too much or too little insulin. There is no cure and no way to prevent type 1 and it hasn’t been linked to diet or lifestyle choices. Children who are diagnosed with type 1 will have diabetes for their entire natural lives. Type 2 is the most common and well-known type of diabetes. It used to be call adult-onset, but that has since been done away with since more and more children are being diagnosed with type 2 (in my opinion due to the rampant childhood obesity epidemic). Type 2 diabetes occurs when the body becomes insulin-resistant. The body no longer uses insulin efficiently and blood sugar levels rise uncontrollably. In response, the body pumps out more insulin and after years of this vicious cycle, the pancreas eventually gives up on trying to produce the abundant amount of insulin necessary to control blood sugar levels. Leading a sedentary lifestyle and being overweight has been linked to the development of type 2 diabetes, however it should be noted that not everyone who develops it is overweight or fits the stereotype. Unlike type 1, type 2 can be managed with lifestyle changes, such as healthy eating, losing excess weight and exercising regularly. If that does not work, then patients will be put on some types of medications. If all else fails, then type 2 patients may need to take insulin injections. Gestational diabetes is similar to type 2 in that the body becomes resistant to insulin, however it only occurs when a woman is pregnant. 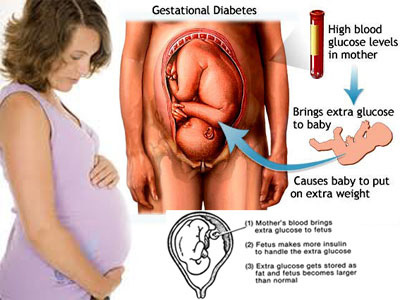 If a woman develops gestational diabetes during her pregnancy, it generally disappears after the birth of her baby. It should be noted that a woman who develops gestational diabetes is at a higher risk of developing type 2 later in life. As I said earlier, type 1 is an autoimmune disease and there is nothing that can predict if one will develop type 1 (although having a family member with type 1, does raise your risk). There are many potential complications of diabetes if left untreated. They include: cardiovascular disease, kidney disease, nerve disease, blindness, and women with gestation diabetes may have children who are large for their gestational age. An estimated 78 million Americans have what is known as Prediabetes. Before type 2 diabetics were type 2, they were almost always “prediabetic” which means that their fasting blood glucose levels were higher than normal, but not yet high enough to be diagnosed as diabetic. Some studies are showing evidence of long-term damage to the body occurring even in the stage of prediabetes. The good news if you are diagnosed with prediabetes, you can take steps to reverse the trend and prevent ever developing type 2. As I said earlier, type 1 diabetes cannot be prevented. But there are many things that you can do to prevent type 2. You’ve heard it over and over again on my blog. Eating right and getting plenty of exercise is crucial for your overall health and well-being and it can also help reduce your risk for diabetes. If you’re overweight or obese, and especially if you have a family member with type 2, it’s important to shed a little bit of that excess weight. Even just 5-10% of your body weight will make an enormous difference in reducing your risk of developing not only diabetes, but many other diseases associated with obesity. 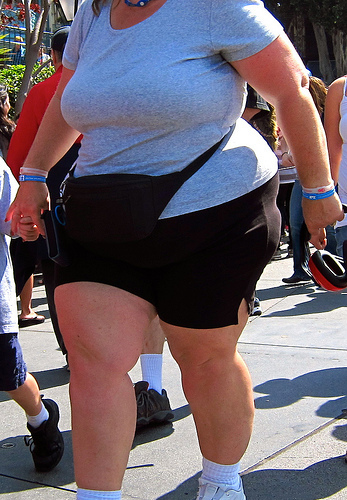 A study showed that regular walking for at least 30 minutes per day reduces the risk of type 2 diabetes by 35-40%. Take steps today to protect yourself from developing type 2, and see your doctor right away if you experience any of the symptoms listed above, if it goes undiagnosed it can cause irreversible damage to your body. For more information please visit the International Diabetes Federation or the American Diabetes Association. HBO’s Weight of the Nation aired the first two parts last night (watch here). The final 2 in the series air tonight on HBO and you can watch them tomorrow. I haven’t watched them yet, I plan to tonight after work, and I’m seriously looking forward to it. Let me know what you think of them!